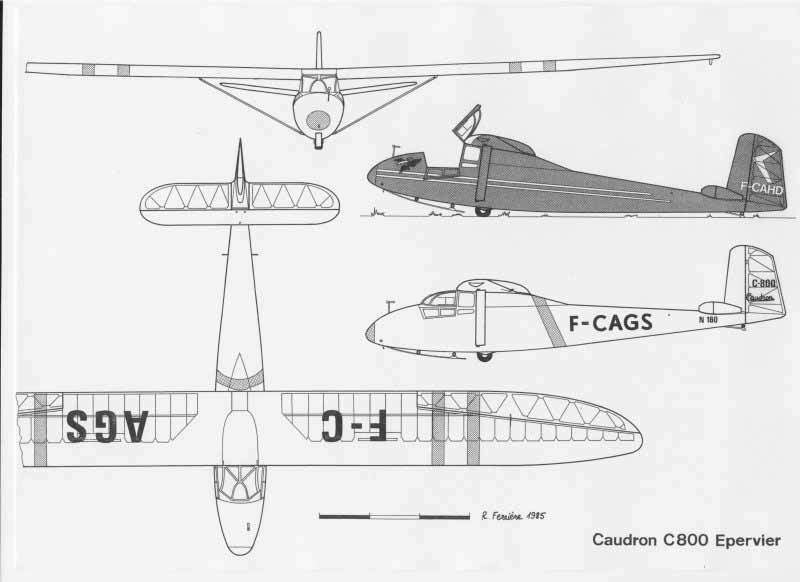 The Caudron C.800 was made from wood, whilst the positioning of the seats were side by side and slightly offset, giving it an impressive fuselage width for a glider. The wing, with a wingspan of 16 m, was linen covered, as were the elevators and rudder. The combined both a wheel and a skid under the fuselage. The canopies complex appearance had numerous vertically opening sections and the whole was hinged at the top to allow the canopy to fall backward over the wing root. In the immediate postwar period, the French aerospace industry launched several campaigns to reactivate the activities of aircraft manufacturers, especially under the leadership of Charles Tillon, then Air Minister under De Gaulle. This gave rise, among other things to the exceptionally competative “Air 100” glider allowing the French to later participate in the International Competition Soaring. 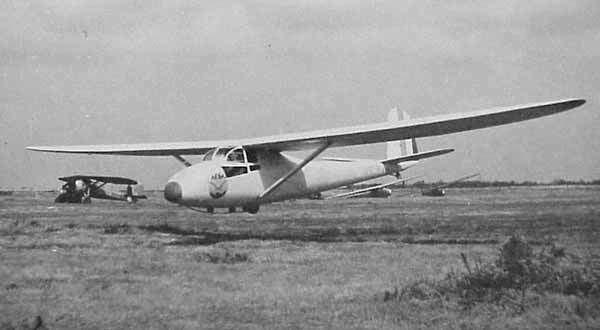 Meanwhile, other French companies also studied various kinds of gliders during the war years including Guerchais Roche. 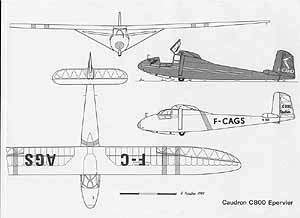 Caudron was also one of these and at the request of the Ministry of Youth and Sport, which was looking for a twin seat trainer glider for all the French gliding clubs, designed the C800 in 1941 for just that purpose. The first prototype flew in the free zone in 1942, before the German invasion. 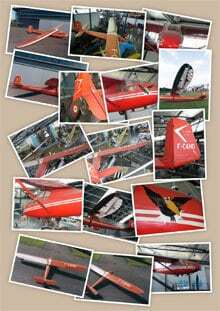 From 1944 following the end of WW II, more than 300 were built, particularly in the Aire sur Adour factory of the Fouga company and for more than 20 years the C 800 has been the French standard trainer glider, being inexpensive to fly, forgiving of trainee pilots, well known for its robustness and ease of servicing. . 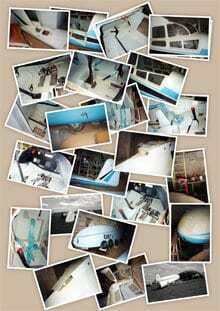 It was able to achieve a high performance level in the hands of a good pilot e.g. : ceiling height of 5300 m, 17 hours duration, 180 km distance. 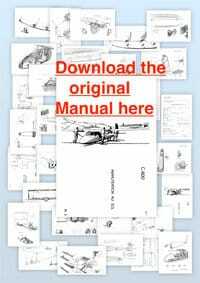 It was also used by the French Air Force and Naval Aviation.